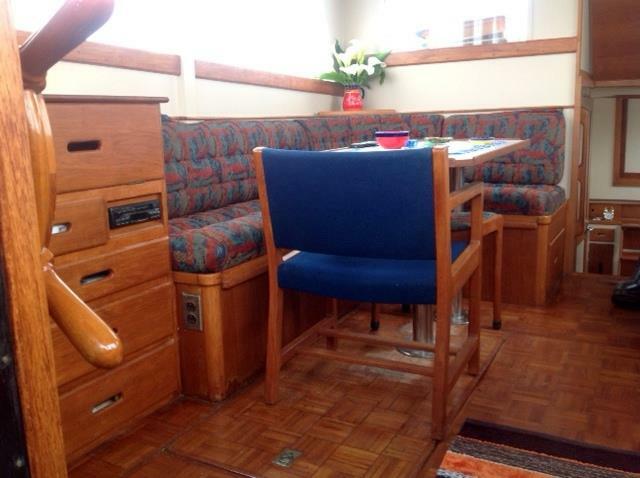 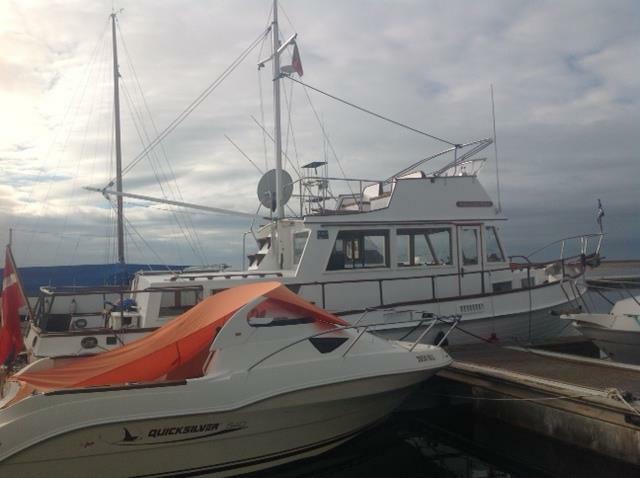 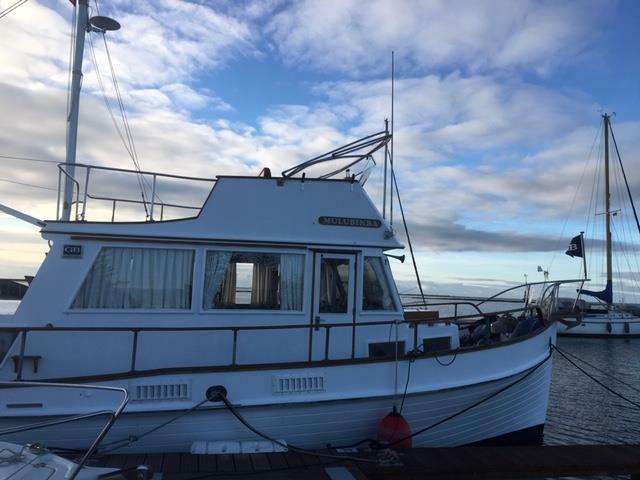 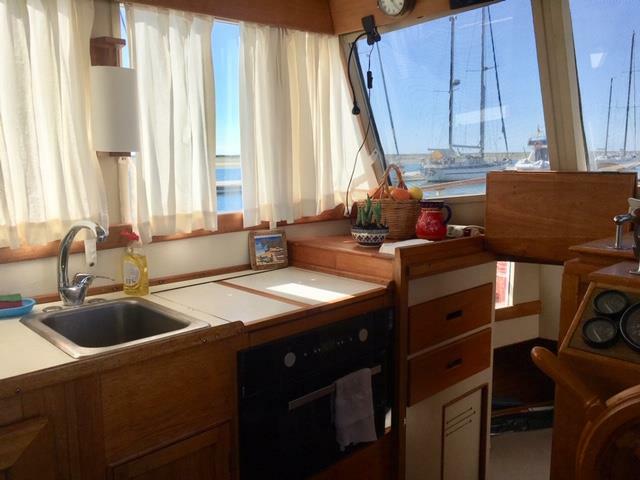 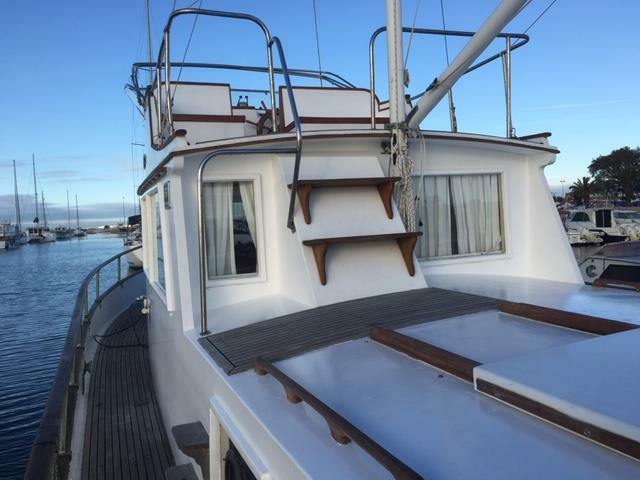 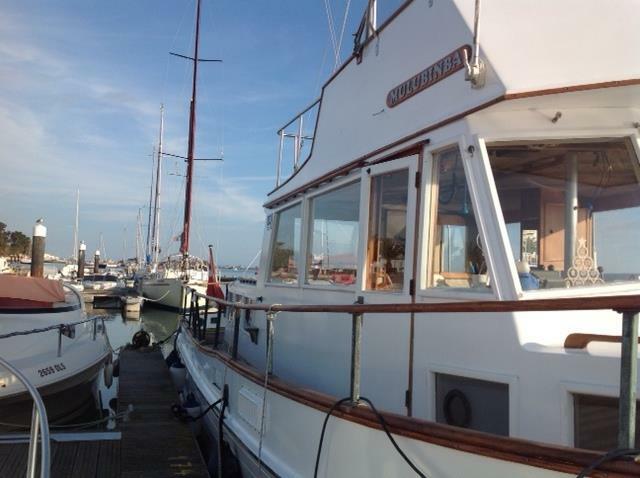 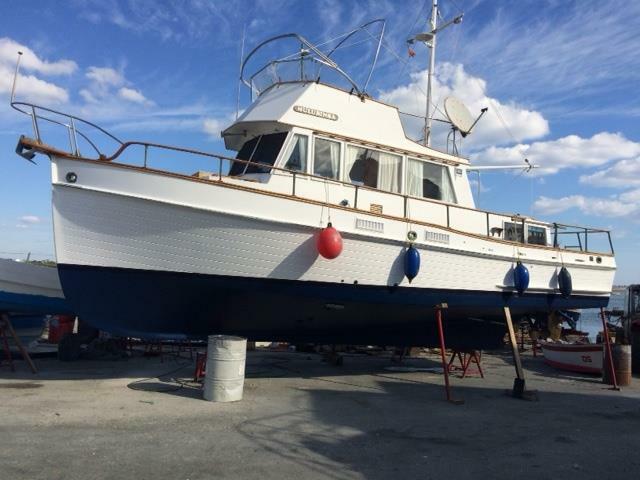 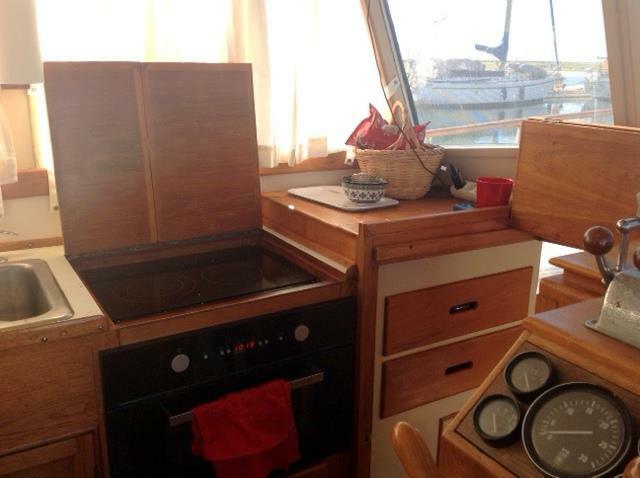 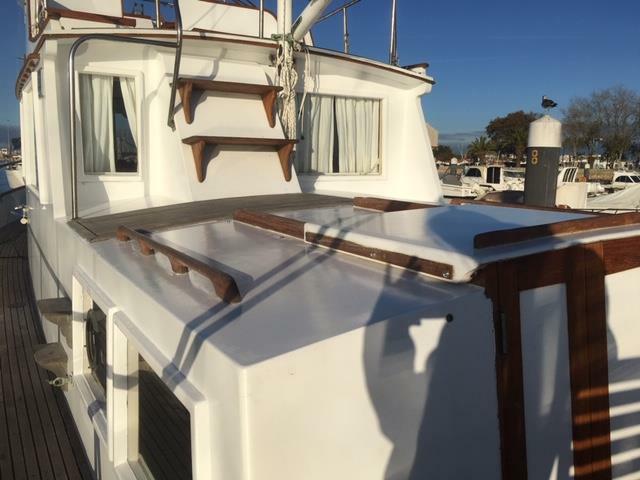 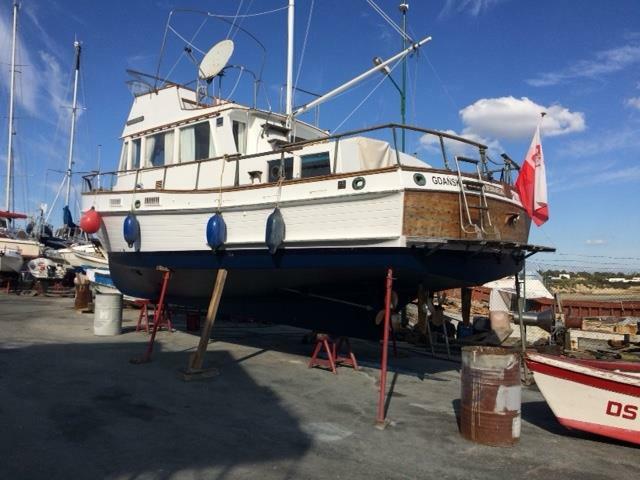 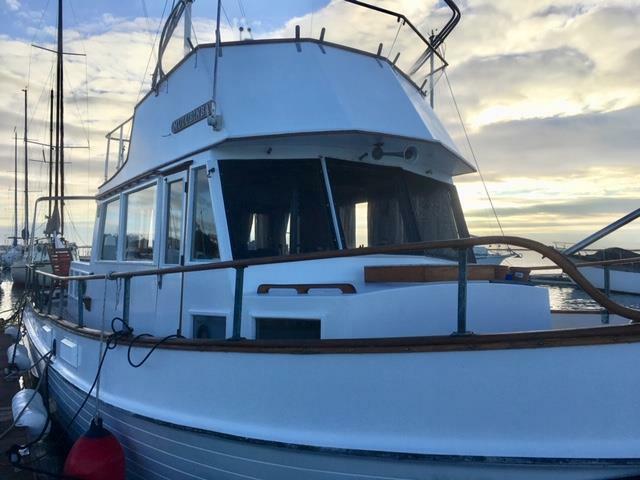 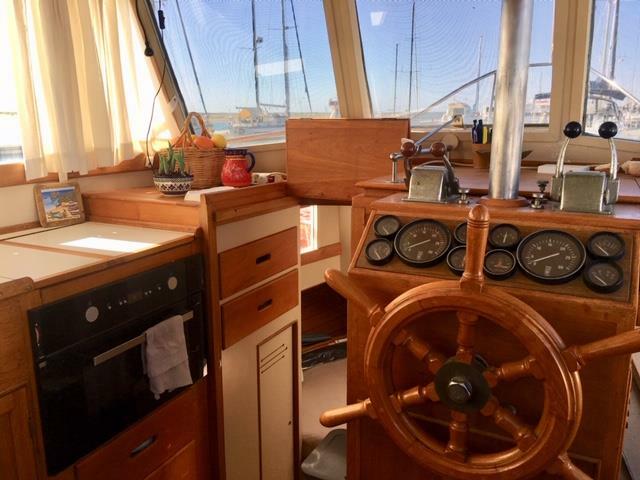 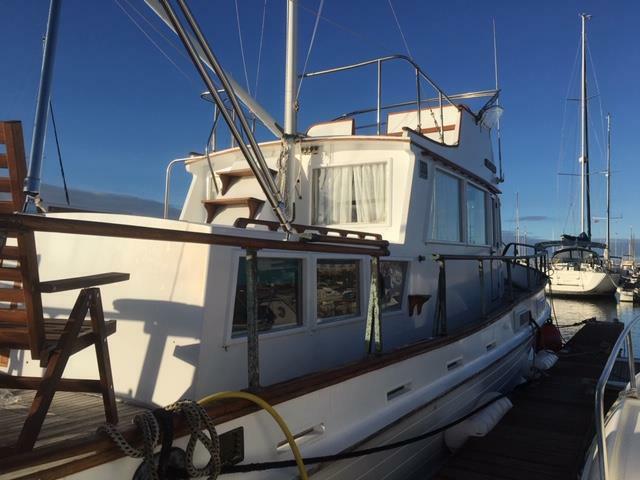 Classic Grand Bank's 36 trawler in good condition. 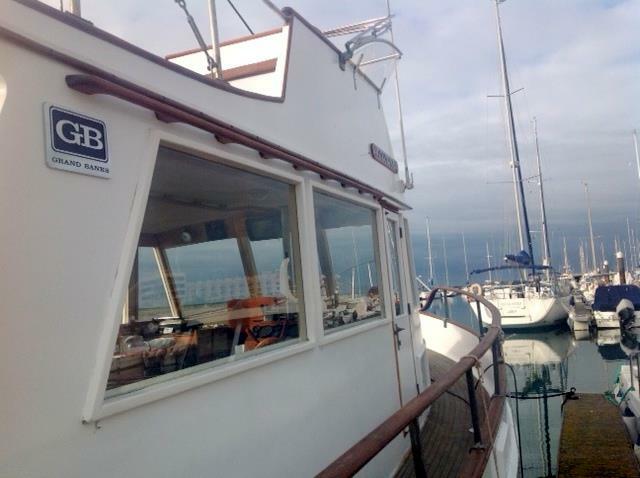 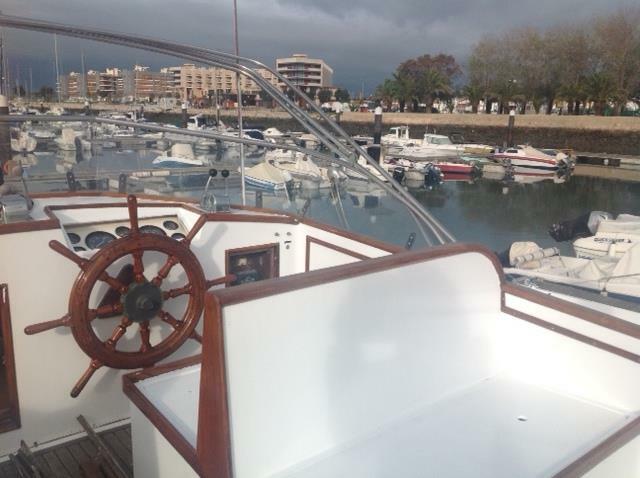 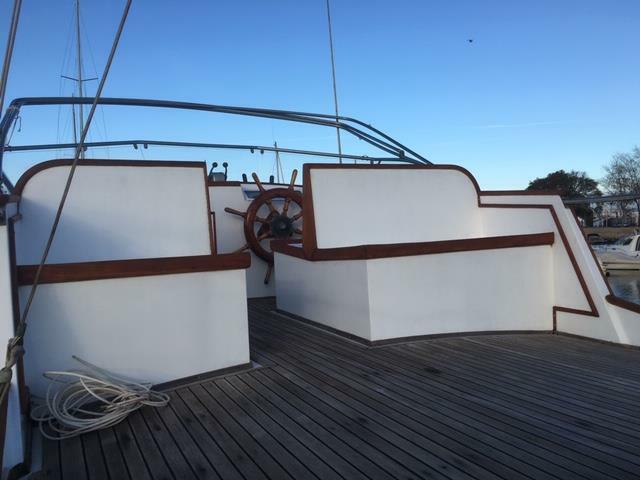 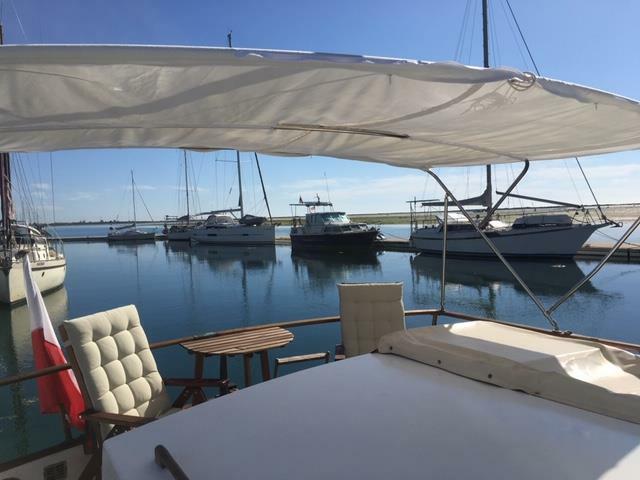 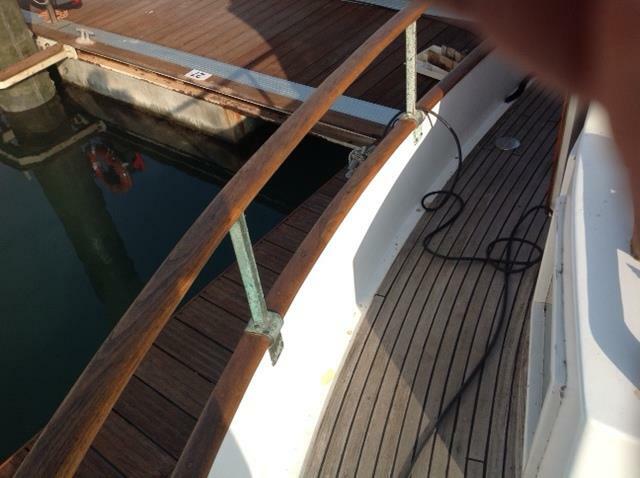 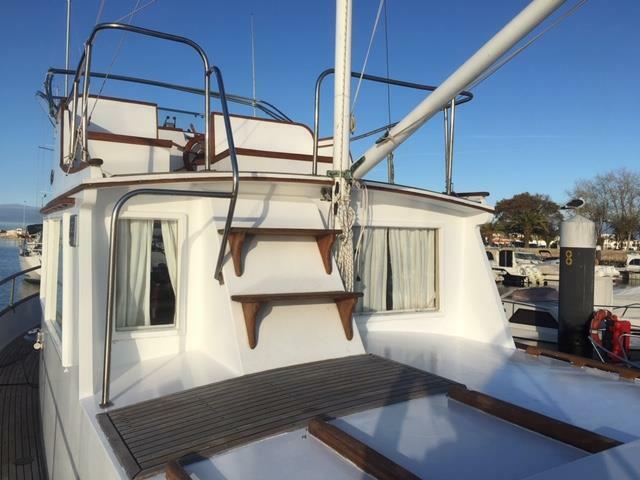 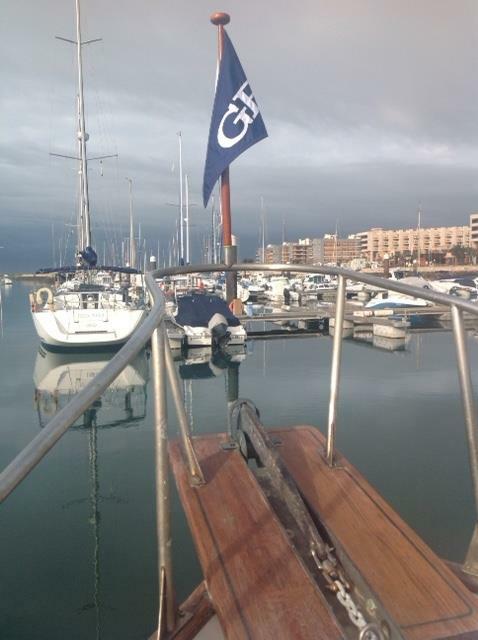 The boat is located in the south of Portugal in a lovely marina, where the owner lives aboard during the winter. 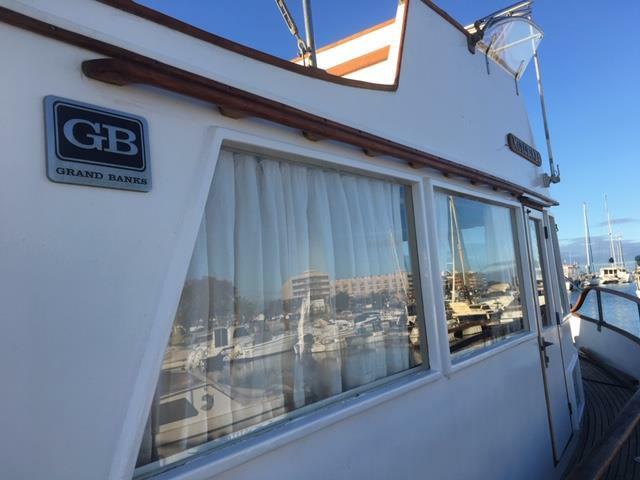 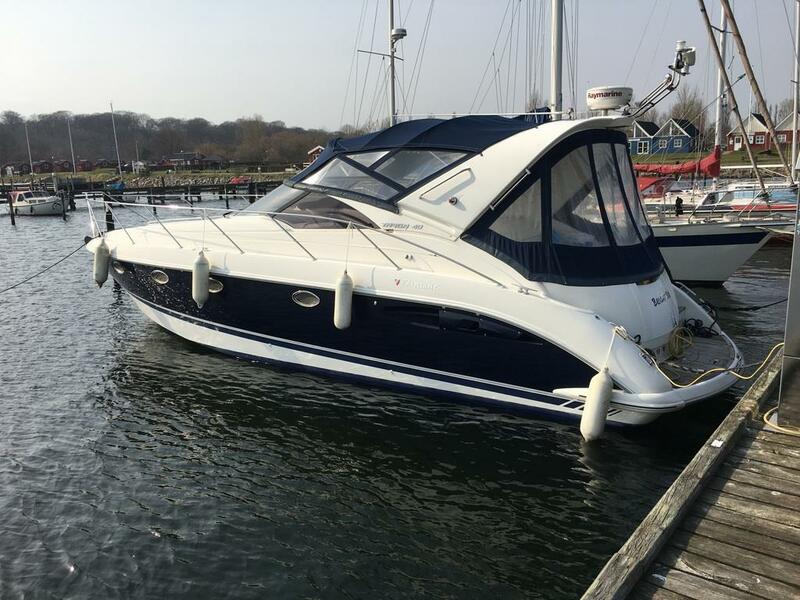 Grand banks 36 classic is a very spacious motor boat with a lovely salon with a view 360 degrees around, seating area for 6-8 people around the tasteful teak table. 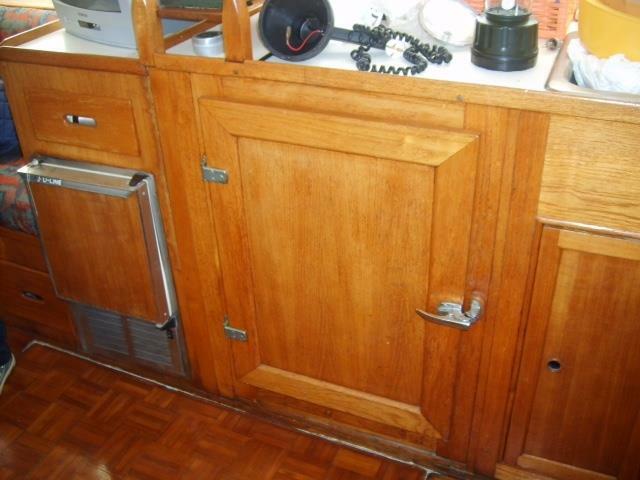 large pantry with stove, oven and large fridge. 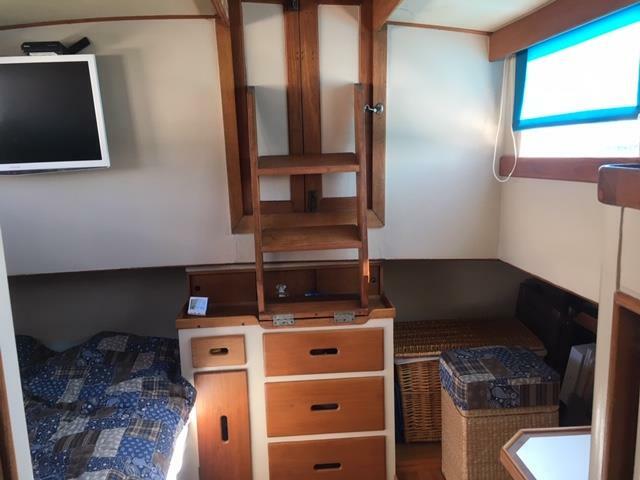 Fork cabin with double V-bed and separate toilet with shower. 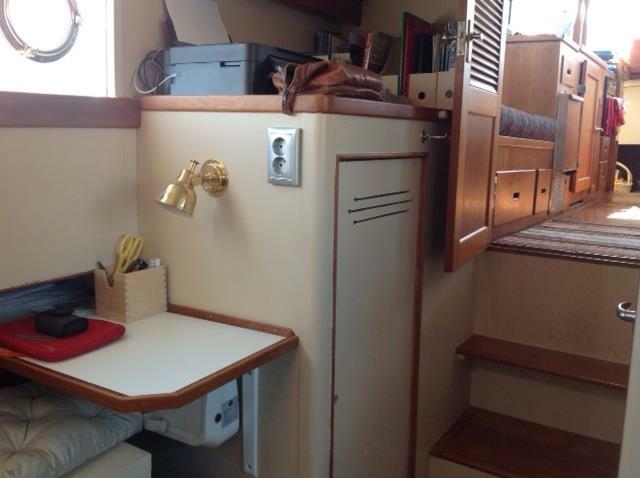 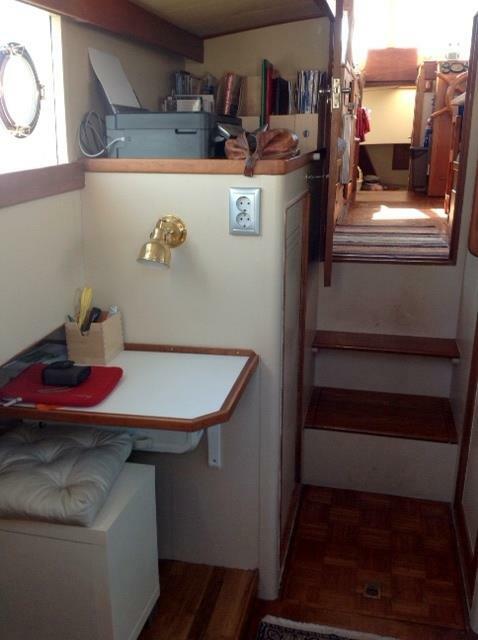 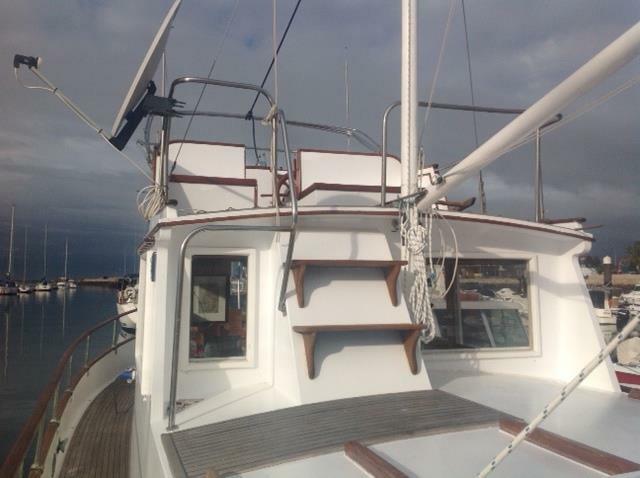 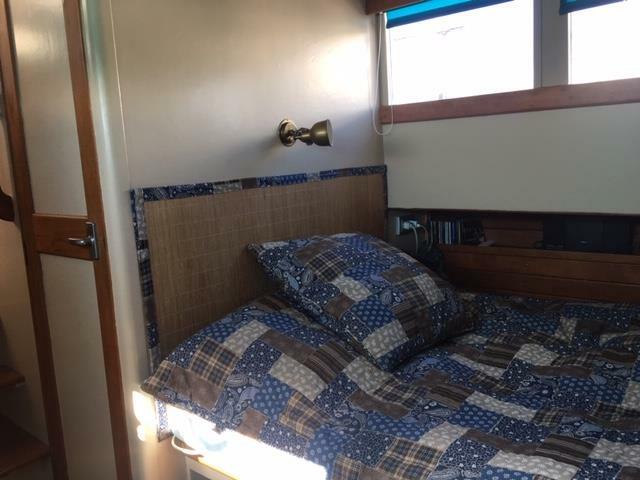 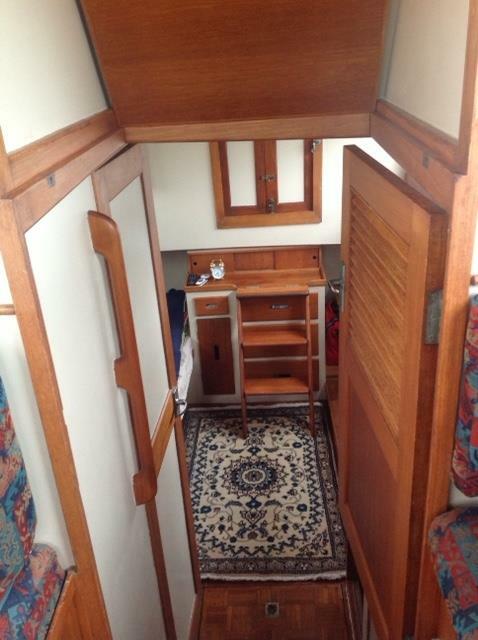 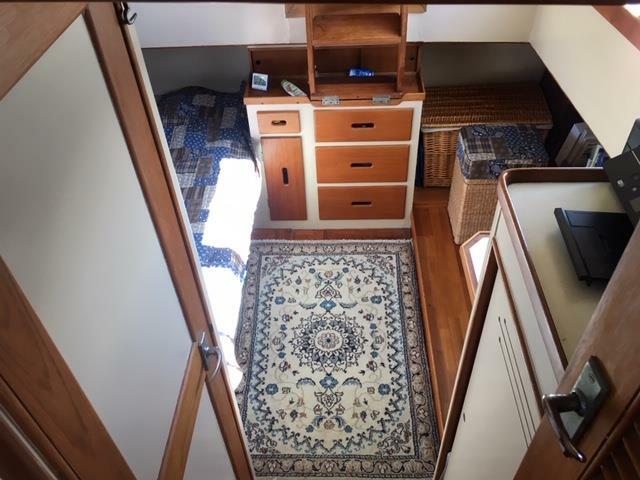 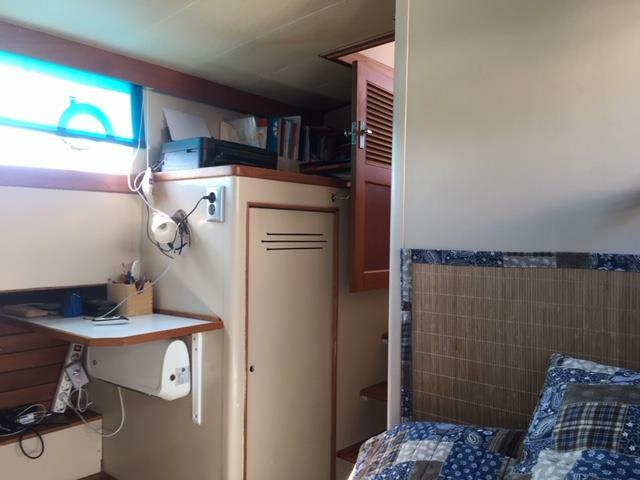 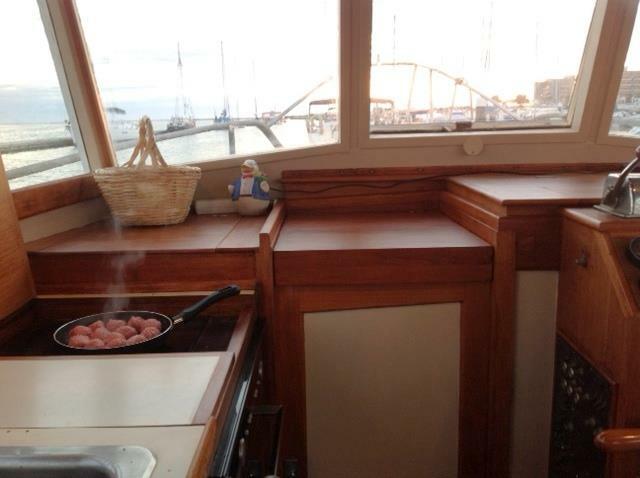 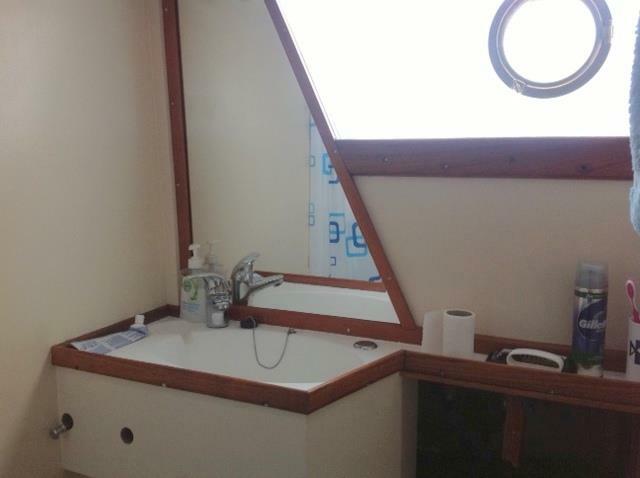 Large aft cabin with double bed and plenty of wardrobe space. 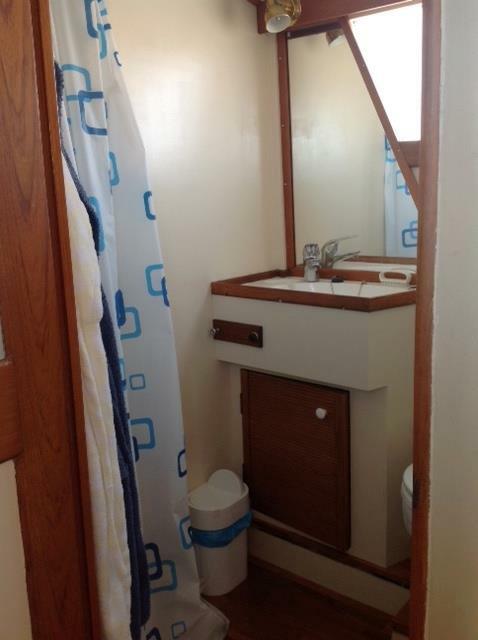 Bathroom with shower and toilet in connection with the aft cabin. 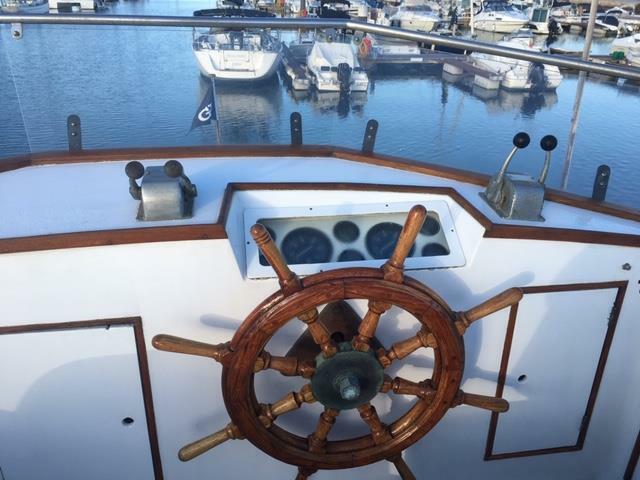 Internal steering position with large steering wheel and view through the large windscreens. 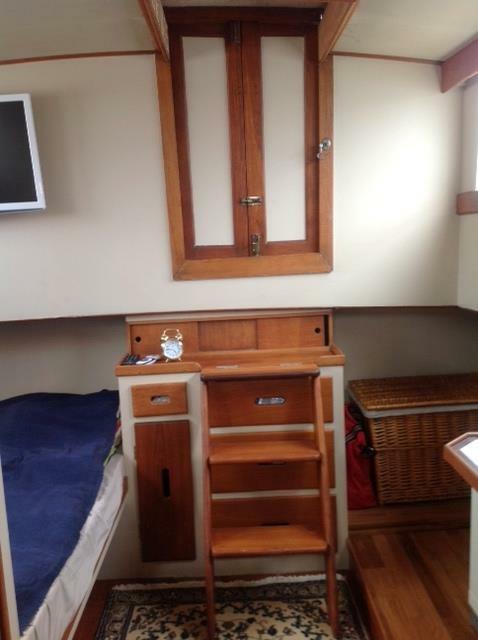 All the accommodation is in maghogany and the deck is of stave-glued teak so it oozes "real" ship and coziness. 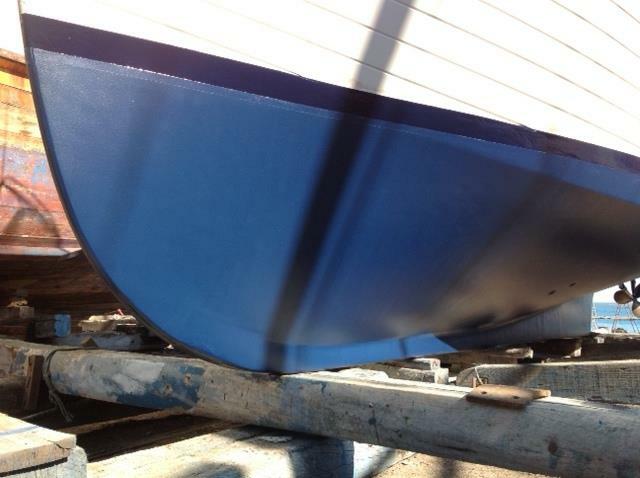 The boat has the classic V-hull and keel so it is very seaworthy in all kinds of weather. 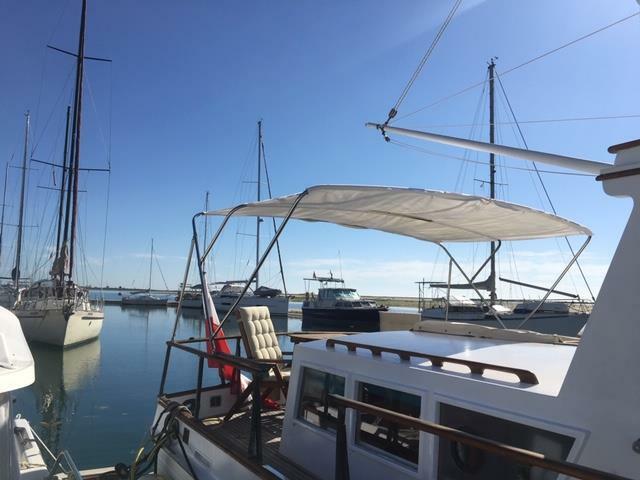 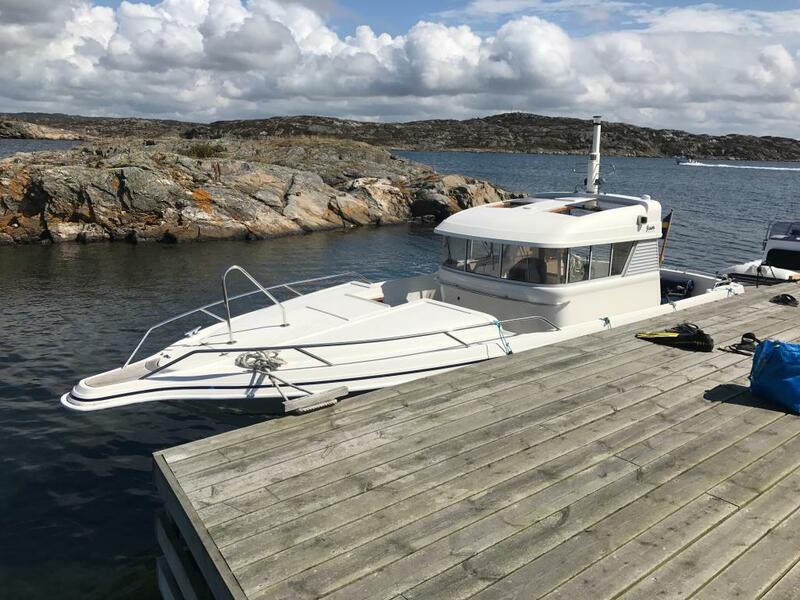 The boat has a wide side deck and aft deck so there is plenty of room to move around and at the same time it makes the high scan deck and powerful trackside feel safe when staying outdoors and under harbor maneuvers. 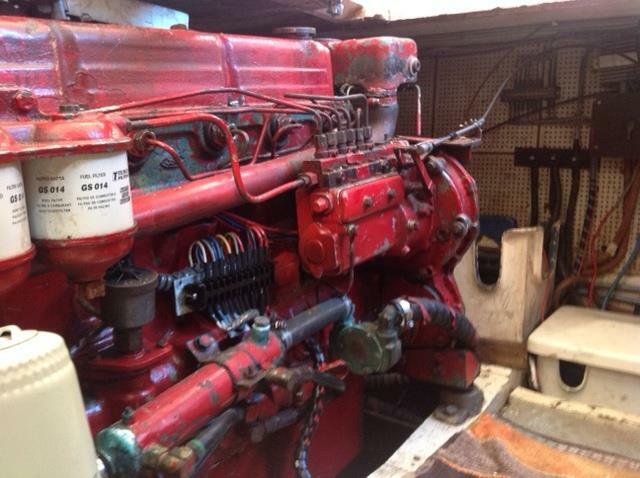 The 2 powerful Ford Lehman engines provide plenty of power for propulsion and maneuverability. 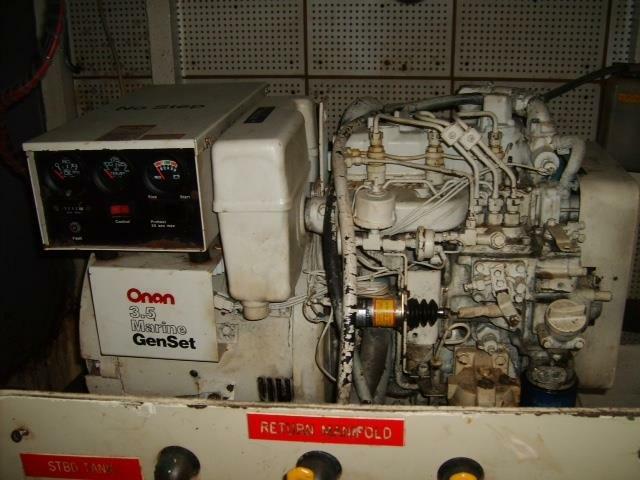 Onan Generator provides 220 volts when needed for cooking and other purposes. 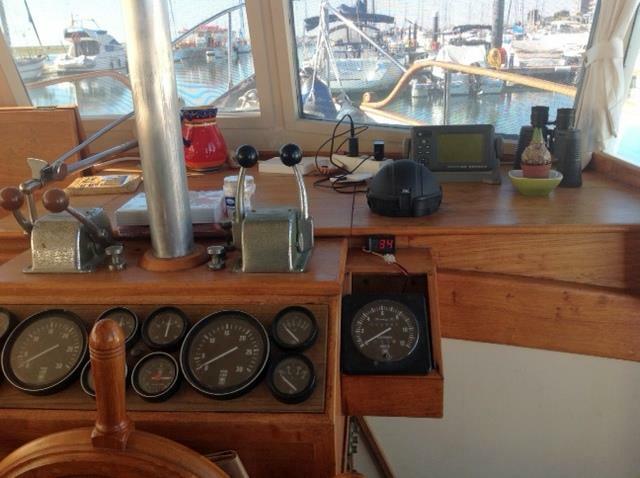 Free height of 3.5 so that it can be sailed on the canals in Europe if the windshield is laid down. 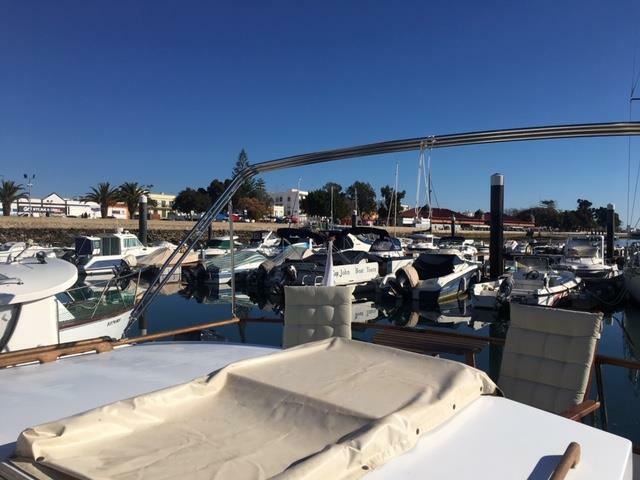 The boat is very close to the airport in Faro, where there are many inexpensive departures for if you want to go down and view Grand banks 36. 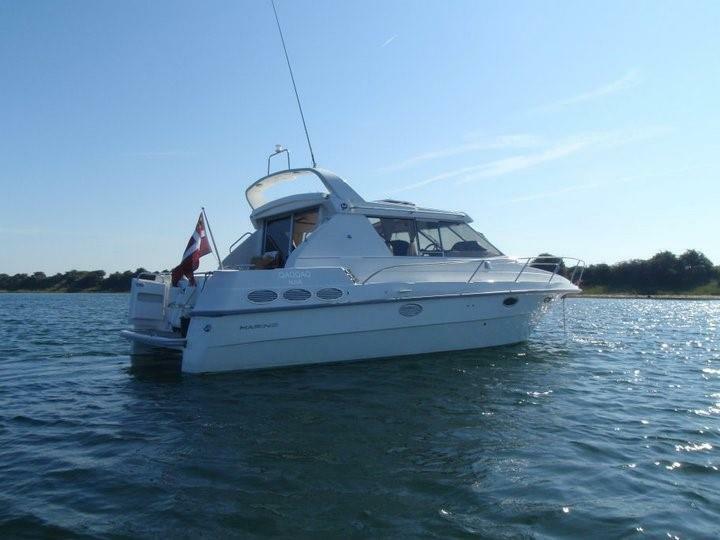 Contact YachtBroker Mikkel Synnestvedt +45 21724333 for more information.